No matter what brushes get added to my collection, I always have a soft spot for Real Techniques. I did my own makeup for my wedding and used their brushes exclusively. They're easy to use, incredibly soft, and give professional results at a fraction of the cost. I love when they come out with holiday sets because they are even more reasonable! My newest set is their Color Pop Set featuring an angled highlighter brush, cheek brush, lip brush, stippling brush, and silver case for storage. 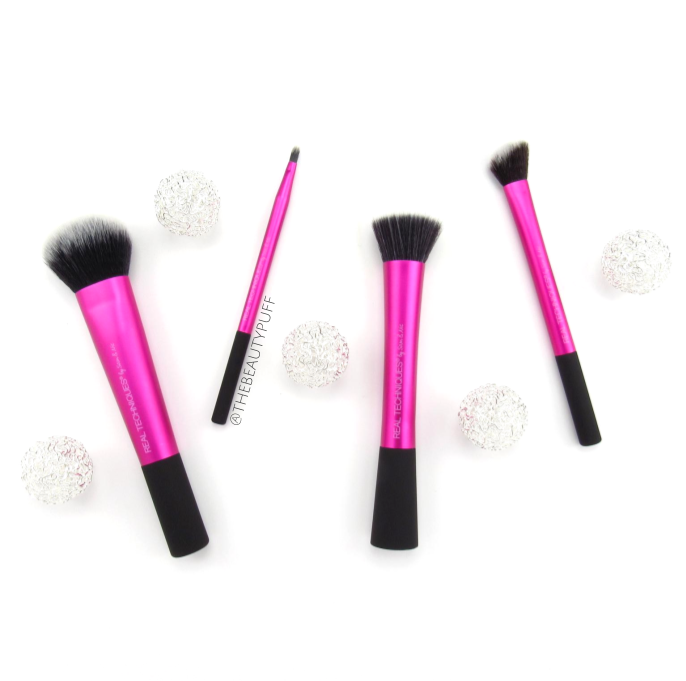 The angled highlighter brush is the perfect size and density for cream or powder highlighter. As with all Real Techniques brushes though, this size lends itself well to so many tasks! This particular cut is exclusive to this set but has been in a holiday set previously. The cheek brush is another versatile brush I've had my eye on for a while. I believe it is also in the Cheek and Lip Brush set, as with the lip brush. The cheek brush is fantastic for bronzer, powder or blush. I think it's my favorite part of this set. It's a great multi-tasker with the perfect density for smooth and efficient application of powders. In all the brushes I've had from Real Techniques, I never had a lip brush so I'm glad that they included one in this set. I love using this brush for precise application of lipsticks, particularly those that come in palettes. I have a few all-in-one palettes with lipsticks and this brush makes using them a lot easier! Lastly, an old favorite of mine, the stippling brush. I've had my stippling brush for years and had considered purchasing another in the new, more vibrant pink so this set came just in time. I've used my stippling brush with every kind of foundation and also cream blushes and highlighters. I love the light, natural finish it gives. 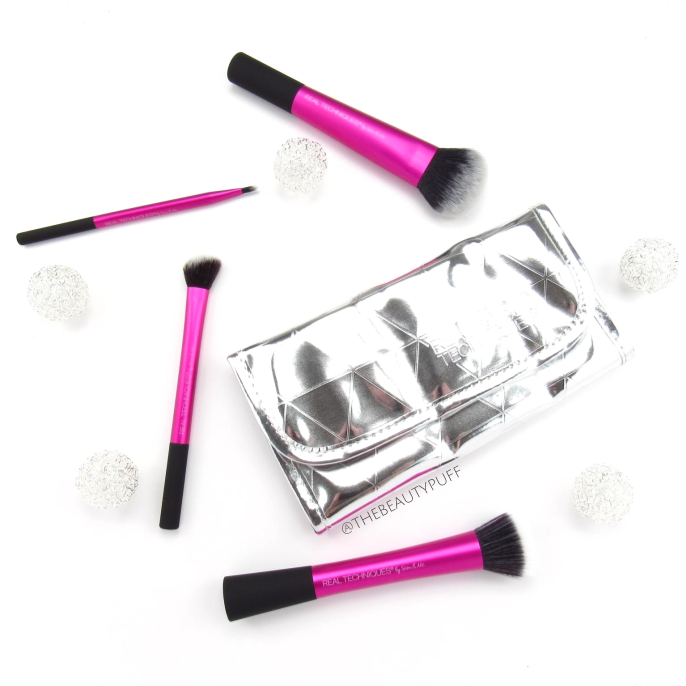 Overall, this set includes a lot of must-haves and you can tuck all these brushes safely in the exclusive silver case which is perfect for travel this holiday season. You can find this set and even more from Real Techniques on the Ulta website below.